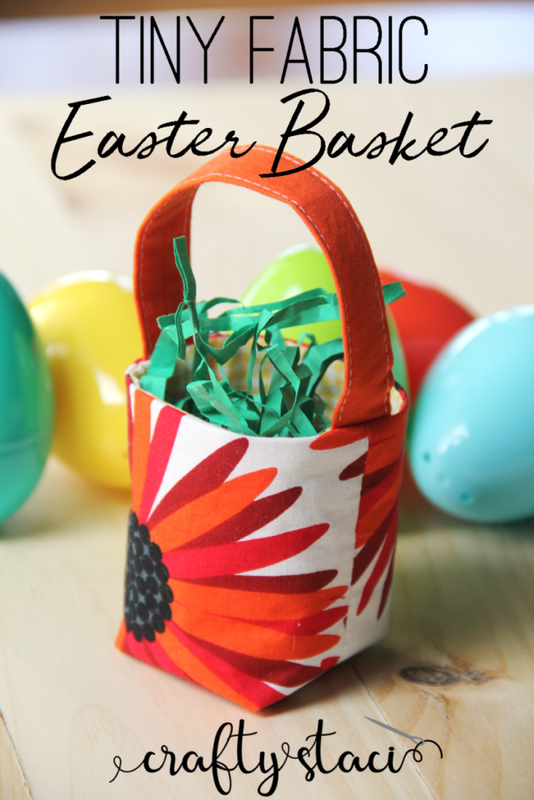 This tiny fabric Easter basket is perfect for holding just one egg or a handful of candies. Make several in a variety of spring prints and use them as place markers on your Easter table. You only need a few small pieces of fabric and interfacing to make one, so this is a great scrap-busting project. They don’t even need to be confined to the Easter holiday – wouldn’t these be great wedding favors, or classroom gifts? You might want to check these 80+ Easter Sewing Projects.